Have you ever wondered where the timber in your bed came from? Chances are the valuable wood may have been logged and traded unlawfully. Illegal logging forms 15-30 per cent of the total global trade in timber and is worth US $30-100 billion annually, as per a new research paper by the University of Adelaide. The research, published the journal BioScience on November 4, shows how a combination of scientific methods along with law can be applied in the timber trade. “The reality is that changes in timber supply chains can be made to improve their transparency, legality and sustainability,” says co-author Eleanor Dormontt. Here are five scientific methods available for timber identification that can be applied within the timber supply chain from log yard, saw mill, processing, exporting, importing and point of sale, two of which are used practically around the globe today and three of which are suggested by the team of scientists. “The ultimate goal for me is to have the scientific methods involve the community living close to the forests,” Dormontt told Down to Earth. 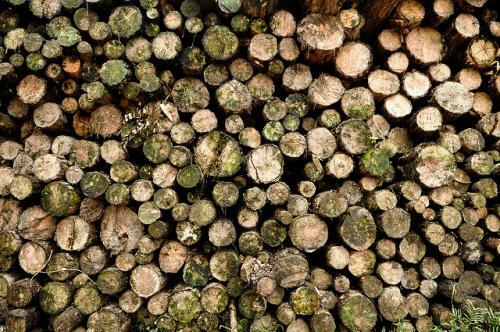 In Brazil, for instance, the law enforcement staff has been trained to take macroscopic anatomical photographs of timber shipments they stop. The police then send these to a laboratory via e-mail where experts study those samples and revert to the officers within 15 minutes. Developed by researcher Sandra Florsheim, this system has equipped the Brazilian police with portable, digital microscopes that captured electronic images of wood samples—a step forward in fighting illegal deforestation. The team processes 1,500 images per month on average, sent by around 500 trained officers. Environmental technician and founder of Rainforest Connection, Topher White, has developed a method of using old cell phones to report illegal tree felling. Cell phones are used to create solar-powered listening devices that can monitor and pinpoint chainsaw activity from a distance. The logging detection system can track activity in real time and report the data to local authorities or to anyone else in the world. This technology is already is being used across the globe. All trees have a unique genetic fingerprint, allowing us to match sawn wood to its parent tree through DNA profiling. After the trees are harvested, timber is sent to be cut in saw mills. Here, illegal wood can be added to legal consignments. In order to limit this, harvested timber is routinely verified to identify illegal augmentations of the wood. This technique was successfully used by the US Forest Service in 2012. Timber from a nearby sawmill was seized after the department found an illegal logging site of bigleaf maple trees. Using DNA markers, a database was used that showed a highly significant match after which all 4 defendants pled guilty. Most of the illegal timber is smuggled across porous land and sea borders, making it important to identify its geographic origin. This can be done through a process called isotope analysis. Naturally-occurring isotopes depend on climate, geology and biology, making them unique to an area. Since trees synthesise the compounds that contain these isotopes, they can unravel and verify what geographical area that tree belongs to. Isotope analysis prevents the illegal export of timber. On exposing timber to near infrared electromagnetic energy, this spectroscopy can detect traits and anatomical properties of wood materials. This then can help to identify unknown samples of wood by matching them with a reference database that classifies timber on the basis of their species and other characteristics. This technique, as Eleanor Darmontt pointed out, can be used for quick and reliable identification of timber in Brazil. “We now have the scientific capability to identify and track illegally logged timber through the supply chain through DNA profiling, DNA barcoding and other means," says lead author Professor Andrew Lowe, from the University of Adelaide. "But now we need the policy and regulatory framework to incorporate scientific verification," he adds. What should be done then? “The international community should be focusing its efforts on supporting the development of timber identification tools as well as their translation into methods that can be applied by producer nations, and building within-country capacity,” she suggests.